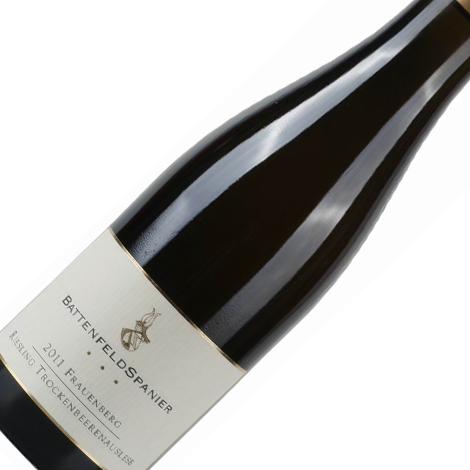 Spanier’s 2011 Florsheimer Frauenberg Riesling Trockenbeerenauslese is loaded with quince and yellow plum preserves at once both honeyed and juicily fresh. Accents of peppermint, candied lemon rind, crystallized ginger and glazed pineapple lend tart invigoration as well as piquant glow to this pervasively and persistently juicy libation, while salted caramel with an emphasis on the salt stimulates the salivary glands. "Spanier can certainly “do” nobly sweet with the best of them when presented with an almost inescapable opportunity! 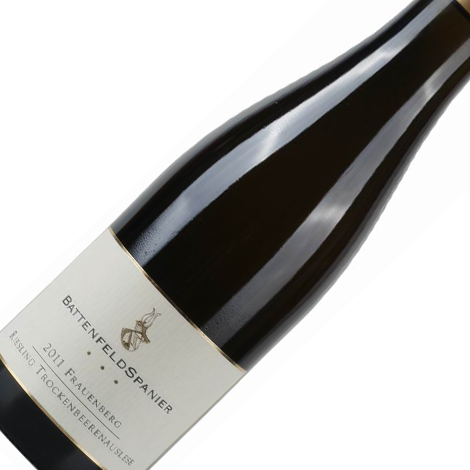 Spanier’s 2011 Florsheimer Frauenberg Riesling Trockenbeerenauslese is loaded with quince and yellow plum preserves at once both honeyed and juicily fresh. Accents of peppermint, candied lemon rind, crystallized ginger and glazed pineapple lend tart invigoration as well as piquant glow to this pervasively and persistently juicy libation, while salted caramel with an emphasis on the salt stimulates the salivary glands. Look for forty or more years of glory here, I predict." David has rated this wine as a 94point wine with a drinking window of 2013-2053!